Cisco created custom DevOps Monitoring solution with InfluxDB as the core component to monitor their ecommerce application that tracks all Cisco Service Renewals. 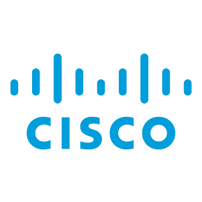 Cisco created an application that monitors their internal SaaS solution providing real-time monitoring and alerting to their end-users. They can now inform their users on the uptime, load, and availability of their SaaS solution. The solution is based on their Metric Stack, which is comprised of StatsD, InfluxDB, and Grafana.